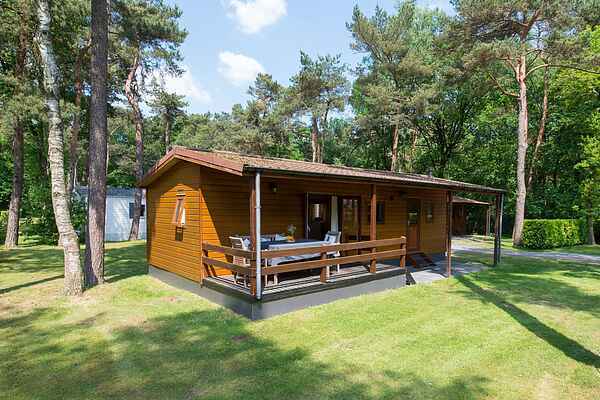 The luxurious forest cottages (NL-5062-15) are in a separate section of the park in the forest. There are a total of four of these houses, so plenty of peace and privacy. The cottages are charming and comfortably furnished. In the spacious garden with terrace and garden furniture you will regularly see squirrels and rabbits. The chalets are of three separate types, a 6-pers. wooden variant (NL-5062-17), or with cupboardbed (NL-5062-26) and a 6-pers. (NL-5062-18) and 2-pers. (NL-5062-25) white variant. All chalets are nicely furnished and all have a terrace with garden furniture.